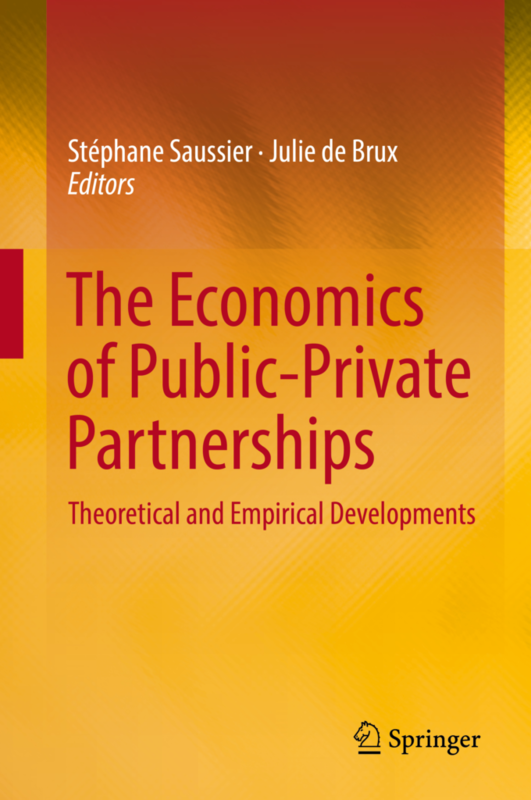 Abstract: This book investigates the economic decisions behind the implementation of public-private partnerships (PPPs). The first part of the book discusses different forms of public procurement contracts, in particular in France and the UK, and provides an economic analysis of the potential advantages and pitfalls of public-private partnerships. This exploration of PPPs’ efficiency also includes an examination of the financing conditions of public procurements, as well as regulatory requirements. By reviewing empirical studies on PPPs, the second part of the book compares their advantages over purely public solutions and offers practical guidance on their implementation. Practitioners will also learn best practices on how to involve stakeholders in calls for bids.